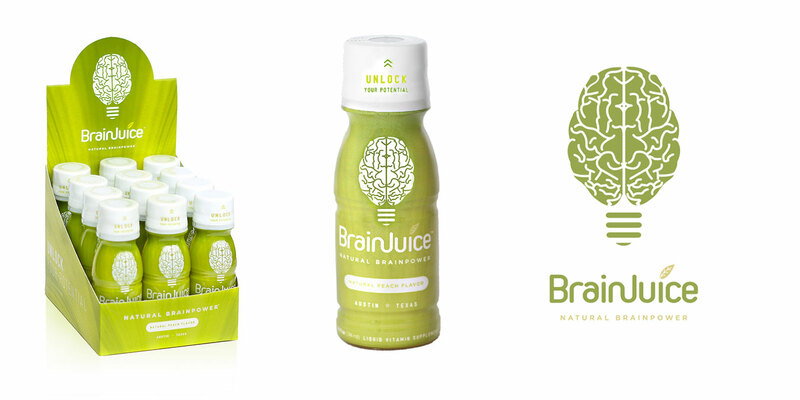 Brand identity & collateral design for natural energy elixir, BrainJuice. BrainJuice is a natural brain energy supplement made from concentrated whole food extracts, including Alpha-GPC, amino acids, antioxidants, omega-3s and other micronutrients. Unhappy with the outcome of their previous logo, BrainJuice came to MODintelechy for assistance refining their brand for application on various collateral and packaging. When BrainJuice initially approached us, they had a very solid concept for what they wanted their logo to look like but were struggling with the execution. Together we were able to adapt a fresh, clean look using the original concept to fully capture the soul and identity of BrainJuice. After finalizing the logo, we then produced bottle labels and package boxes, doubling as unique point-of-purchase displays. "Together we were able to adapt a fresh, clean logo using the original concept to fully capture the soul & identity of BrainJuice." With a completely freshened look and all new packaging, BrainJuice has been able to solidify themselves as a true alternative to typical energy stimulants. 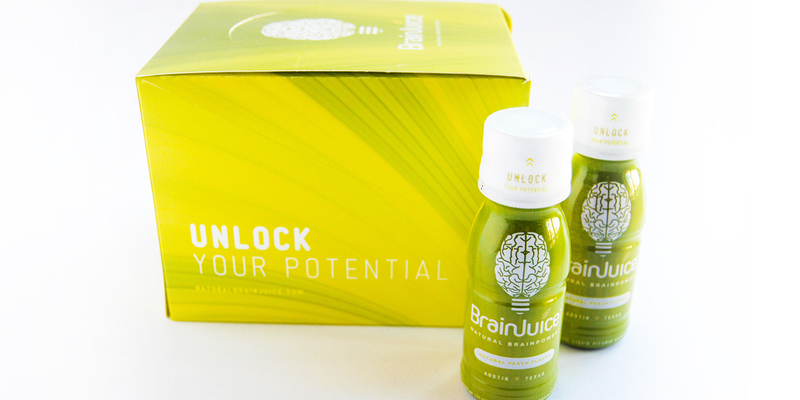 BrainJuice rapidly expanded their area of distribution including being carried at both Whole Foods and Central market and now offers online shipping to meet their growing demand.